Multi Instrumentalist and composer Stephen Kent's musical career has taken him across five continents, living at various times in the UK, Spain, East Africa, Australia and the US. His musical scores, composed for theatre, circus and dance companies, have received international acclaim and his work as a performer and recording artist has established him in the world music scene, exploring a broad range of playing styles and musical genres. As a performer on the Australian Aboriginal Didjeridu he has pioneered its use in contemporary music across the globe collaborating with a number of musicians, including Airto Moreira (Brasil), Zakir Hussain (India), Habib Koite (Mali), Omar Sosa (Cuba), Leonard Eto (Japan), Choi Jong Sil (Korea), Steve Roach (USA) and many more. Stephen also hosts Music of the World, a weekly show on Pacifica Radio's KPFA. I am celebrating the release of my brand new solo CD, The Painted Road – Stories for Solo Didjeridu and Percussion – just as I perform it live, with a minimum of tasteful ambient overdubs. This is the most direct and unfiltered recording I have made since I arrived in The Bay Area 24 years ago and went into the honeycomb caves of La Honda to record Songs From the Burnt Earth. It was a tremendous experience making The Painted Road with co-producer/engineer Alex Stahl, whom I last worked with in recording the first Trance Mission release in 1992/93. This new project delves deep into the subtle explorations and experiences of land and oceanic atmospheres I have been exploring since I was inspired to play the Didjeridu while living in Australia in the early 1980's. 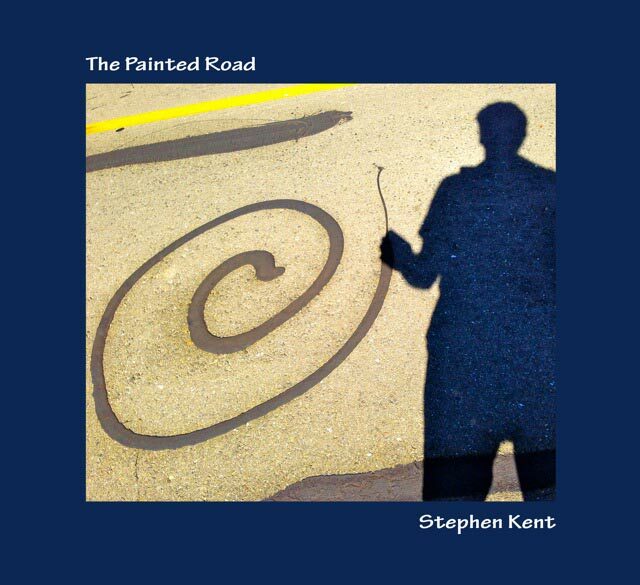 You may purchase The Painted Road at my concerts, or send $16.50 via PayPal to familytree@stephenkent.net. You can find more of my music on Amazon.